GEORGE EDWARDS TREKKED through the snow-covered woods. It was the morning of the first day of deer season — one of his favorite times of the year. The sun was starting to rise over the mountain he was climbing, cascading sporadic rays through the leaves of the tall trees. At seventy-three years old, he felt as fit as a fiddle and looked forward to the hike ahead of him. Slowly, he stood and glanced back at what he had stumbled over. There was a large lump on the ground. He gave his eyes a moment to adjust, as they weren’t as reliable as they used to be. He squinted in the breaking daylight and cautiously moved towards the object to get a better look. “Jesus H. Christ!” George yelled, stumbling back. He quickly fished his cell phone out of his pocket and walked around the area until he could get a good signal. His hands shook as he dialed 9-1-1. While the phone rang, George stared down at the girl. She was badly beaten and covered in blood. Her clothes were soiled and dirty, and she had blended in perfectly with the surroundings of the forest floor. She wasn’t covered from last night’s snowfall, so he knew she couldn’t have been there for more than a few hours. “Hello? Hello? Is anybody there?” the operator called. George put the phone to his ear so he could hear the man more clearly. “Yes. My name is George Edwards. I’m up here on Blue Crest Mountain, about two miles from Route 220. I found a girl in the woods. She’s in bad shape. She’s covered in blood.” He swallowed hard at the lump forming in his throat. George looked down at the girl. She looked dead, but perhaps she had some life in her. His worn knees creaked as he knelt down beside the woman. Leaning in close to her, he stared at her mouth. A weak puff of white air escaped her lips. “She’s breathing! She’s alive!” George cried, relieved. “No change,” she said, handing him the manila folder that contained Jane’s chart. Jack frowned. “All right.” He walked down to the end of the hall and into the last room on the left. Jane Doe was resting peacefully in her bed like she had been day in and day out for the past few weeks. Yawning, he flipped through the folder and glanced over the nurses’ notes. “Well, Ms. Doe, no changes today,” he commented. He glanced up at the girl lying serenely in the bed. She had been in the hospital for almost a month, and every night Jack found himself coming to her room before heading home. It seemed that in some way she gave him peace at the end of a long and tiring day. He stood and walked to the side of the bed. The girl had been found in the woods and beaten within an inch of her life. When she arrived at the hospital, she was broken and barely alive. Jack had put her back together and saved her life. It was touch and go in the operating room, but no matter how many times her body tried to quit, Jack wouldn’t let her give up. Jack found himself tremendously curious to find out who she was, and he wasn’t the only one. The police detectives investigating the case wanted information, and they kept in regular contact with the hospital. They wanted to talk to Jane Doe and get a lead on who had left her for dead. Jack left the room and returned the chart at the nurses’ desk, smiling at the blonde as she took the folder back. “Goodnight, Dr. Walker,” she said. “Goodnight,” he said as he walked down the hall. He stood in front of the double elevators and pushed the down button. A few seconds later, he heard a ping, and the doors on the right opened up. As he rode the elevator down, his thoughts strayed to Jane Doe. Eventually someone would come for her. Perhaps her mother or father — or perhaps a boyfriend or husband. He scowled. The thought of her being married upset him even though he knew deep down he shouldn’t feel like that. Jane was his patient and would never be anything more than that. Even though he would be extremely disappointed if she were married, he would also be glad to see her happy and provided for. Jack threw his coat on the back of a chair in the kitchen and walked into the living room. Plopping down on the couch, he flicked on the TV with the remote. The ten o’clock news appeared on the screen. After a few random stories of crimes, the newswoman began a story about authorities searching for the person or persons wanted for the attempted murder of the woman in the woods. “Jane Doe,” he whispered. She was commonly referred to as the woman in the woods. For weeks he had been searching for her. He had stayed in countless hotel rooms, spanning out twenty miles at a time trying to find some sliver of evidence that she was alive. She had disappeared out of the blue from his life a month ago, and he couldn’t believe he hadn’t found her yet. Someone had taken her from him. That is what his intuition told him, and his intuition was never wrong. There wasn’t a second of the day that went by when he didn’t think of her, when he didn’t look for her. Moreover, he vowed he would never stop looking for her even if it took an eternity. Time was something he had a lot of, but she didn’t. The clock was ticking, and he didn’t know when the clock would stop running. He stared at one large black circle that intersected multiple other black circles. His finger lingered over the town he was presently in — Bedford Valley. It had been a century or more since he had passed through the town. Coincidentally, he was staying in the same hotel as he had on his visit those many years ago. Something had drawn him there once again, and he always trusted his instincts. Sebastian stood and walked out of the French doors onto the balcony. A cold wind swept around him as he stared out over the resort grounds. “Where are you?” he asked the night air, his voice pleading for an answer. Sebastian quickly walked back into the room, his eyes resting upon the TV as the newswoman spoke. A drawing of a woman’s face appeared on the screen. He knew it was her instantly. His fingertips skimmed over her face on the television. Her green eyes stared back at him. “You’re here,” he breathed. His entire body trembled. He had finally found her. THE HOSPITAL FLOOR was quiet at ten p.m. The incessant hissing of breathing machines and beeping of monitors filled the air as he made his way through the halls. The smell of her blood was leading him right to her. “Yes,” she said as she sat down and continued with her task. Sebastian walked from the desk and to the end of the hall. At the doorway, the smell of her blood overwhelmed him. The taste of it still lingered in his mind. He closed his eyes and attempted to suppress his hunger. However, his hunger was quickly extinguished as he entered the room and his emotions took over at the sight of her — battered and bruised, covered in bandages. She slept soundly, unmoving, breathing evenly. Sleeping Beauty came to his mind. A gasp escaped his lips as he stood over her. “What happened to you?” he asked aloud. He had expected to find her hurt, but not in this condition. He would have never dreamt of her being in so much pain. A single tear escaped his eye and cascaded down his cheek. Carefully, he grasped her hand and raised it to touch his lips. He tenderly kissed her fingertips. “I thought I had lost you forever,” he whispered, anguished. Someone had taken her away from him and had tried to kill her. And if he ever found the person who hurt her, his or her fate would be a lot worse than lying in a hospital bed. Sebastian closed his eyes and took deep breaths to prevent his anger from overflowing out of every pore in his body. “I will find and kill whoever did this to you,” he promised, looking down at her. 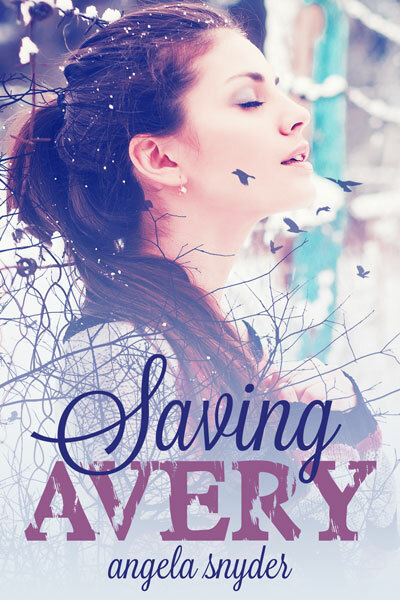 Realizing she may never regain consciousness again without his help, he bit into his index finger with a sharp fang and placed the wound over her parted lips. “Just a few drops,” he whispered. “It will heal you, but not too quickly so that it will look suspicious.” He watched as a few drops of his precious blood dropped underneath her tongue. Then Sebastian withdrew his finger and watched the bite mark heal instantaneously. He leaned over the bed and kissed her sweet lips. “I will come for you when I know it’s safe.” He stood back, not wanting to leave, but knowing that staying could bring her even more harm. “I love you. Now and forever,” he said before turning from her and leaving the room. After finishing his rounds for the night, Jack went to the nurses’ station. “Anything new with Jane Doe?” he asked, expectantly. The nurse frowned. “No, I’m afraid not, Dr. Walker.” She gave him Jane’s chart. His face matched her expression as he flipped through the folder. “Figured as much,” he muttered, disappointment lacing his voice. He caught a glimpse of a man walking past him. The man was tall with jet-black hair that fell into his intense blue eyes that glanced at Jack for a brief second as he passed by. He was dressed all in black and clearly not a hospital employee. “Who is that?” he asked the nurse. Jack opened the folder and glanced over her chart. No changes once again. He sighed and walked to her bedside. Gently, he grasped her hand and squeezed it. “You need to wake up, so we can find your family,” he whispered. “This is Dr. Walker. Our Jane Doe is coming back to us,” he said with a big smile on his face. If you are an indie author, social media is definitely a tool you are going to want to utilize. In this blog post, we’re going to discuss Facebook. You are going to link your Facebook page to your personal account. Now, if you write under a pen name, you might want to consider making an entirely new personal account. You personal account will come into play when exchanging likes with fellow authors. I will discuss more about that later on this blog post. It is very easy to switch between your personal account and your page(s). There is a drop-down menu (arrow) in the top right corner of your Facebook. The heading will read “Use Facebook as:”, and you will choose your page. To switch back, go to the menu again and select your personal account. So now that you have your Facebook page set up, you are going to need some likes. A lot of people do not realize this, but if a page likes your page — it does not count! Only personal Facebook accounts will count as a like. So if you are exchanging likes with a fellow author, please make sure you are both liking from your personal accounts and not from your pages. You don’t want to get shorted, and you don’t want to short your fellow authors. You need to get more than 30 likes before you can see your page insights. Your page insights let you see a lot of information such as likes, unlikes, how many people are viewing your posts, demographic info, page visits and much more. It’s very useful to see what time most of your followers are on Facebook, so that your posts can reach the maximum audience. Now, how do you get likes? Getting likes can be a painstaking task, and it takes time unless you have a big following already. There are many ways that you can get likes, but most of them involve exchanging likes. Exchanging likes means exactly what it implies — I will like your page if you like mine. This is a great way to help out your fellow authors and get yourself some page likes at the same time. You must join the group before you can post your Facebook page. Like with any group, read the rules before posting. The rules will be over on the right-hand side of the group under the banner. There is another group that indie authors should be utilizing, and that is a retweet group. If you ever see indie authors posting a lot of RTs (retweets) on Twitter in one day, that is because they have probably joined one of these groups. The idea of the group is simple — You retweet (RT) another author, and they RT you. Everybody wins by helping each other out. A way to find RT groups on Facebook is by utilizing the search. Type in RT, author, indie author, retweet group or any other combination of words. Usually when you join one group, more group suggestions will pop up. I will share one group that is great for indie authors who want to RT: https://www.facebook.com/groups/181934298640498/ As I said above, please read the rules before posting in the group. The last tip I am going to share when it comes to Facebook is using other pages for your own promotion. Did you know you can post a link to your book once a week on Amazon Kindle’s Facebook page that reaches millions of people? If you go to the page https://www.facebook.com/kindle, you will see (near the top right) a section that says “Recent Posts by Others on Amazon Kindle”. You will see the same thing (Recent Posts by Others) on other pages. Go to the left of the page where you can post and say something about your book and include the link. When you refresh the page, your post will show up under the “Recent Posts by Others” on the right. Most pages encourage promotion, but do not go overboard. Once a week or once every two weeks is a safe bet that you won’t get banned from the page. If your book is not paranormal, find another page that can help you. There are pages for Amazon Kindle, Kindle Fire, Nook and many more that you could post on to promote your book. Tip: If you see other authors posting in the “Recent Posts by Others”, you can post there too. There are two Amazon Affiliate Facebook pages that promote authors/indie authors when the author/reader submits a form. These pages have 30,000+ and 80,000+ likes. That’s a lot of potential buyers for your book! Read the rules on the page before submitting the form. It’s very simple. If you need help, contact the page for more info. I’m sure they would be happy to help! If this blog post was informative, please hit the like button below and share it on Facebook and Twitter. 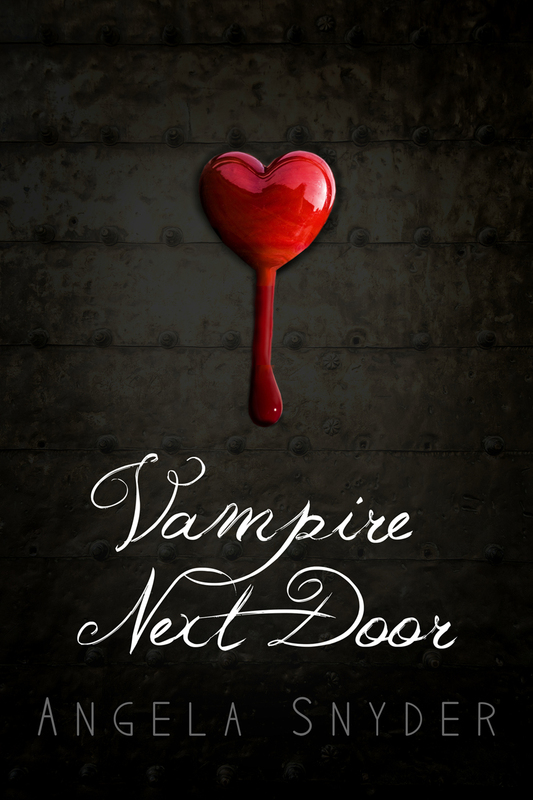 Vampire Next Door‘s cover was reVAMPed! 😉 I now have a great cover thanks to Cheryl Ramirez over at www.ccrbookcoverdesign.com. The Kindle edition should be updated today. The paperback version on Amazon will feature the new cover in about a week or so. Barnes and Noble, Smashwords, Kobo, iBooks and everywhere else will follow suit soon enough. Let me know what you think of the new cover in the comments. 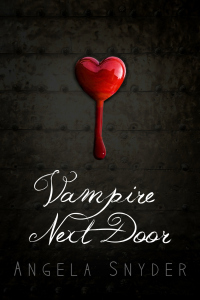 I recently published my first novel, “Vampire Next Door”, on August 29th, 2013. On that day, I remember having such a surreal feeling. My lifelong dream had been to publish a book. And I had just done it. My passion for writing came at an early age. I can remember writing songs and poetry when I was in second and third grade. I remember writing entire plays by fifth grade. I started my first novel when I was fifteen. That novel is still a work in progress, and I believe it will be my masterpiece, so to speak. And, of course, it is about vampires. My obsession with vampires started in the year 1994. Interview with a Vampire and “The Last Vampire” series by Christopher Pike were at the top of my list of things to obsess about. The more I watched and the more I read, the more I wanted to write about vampires. “Vampire Next Door” was initially two separate stories. The first story was about a battered woman who was married to a rich, powerful and evil man. There was a vampire living next door who was in love with this woman and saved her life after her husband had gone too far. The woman reminded him of a long lost love from his past. It was really a fairytale kind of story. At the same time I was developing that story, I had another story in my head. The other one was about a woman who had amnesia. While trying to adjust to a new life without a past, she fell in love with her doctor, who had an evil twin brother. Now, the plots for these books were not complete in any sense. I honestly would have never finished each one individually. They were missing something…a lot actually, and I was too busy working on several other books to pay them any mind. They were just ideas. And that was that. I often hear from authors about their characters speaking to them, almost as if they’re begging for their story to be told. Well, Sebastian wouldn’t get out of my head. I thought about him. I dreamed about him. He was everywhere. One day while I was looking through my many, many, many (did I say many?) documents with all my stories on my computer, something just clicked. Combine the two stories that were going nowhere and come up with a brand new story. And so Sebastian Alexander became the main character for “Vampire Next Door”, and he became my obsession for the few months while I wrote the book. Sebastian had finally found his home in “Vampire Next Door”. My method of writing is not methodical, to say the least. I tend to think of my method as a jigsaw puzzle. I get ideas for chapters, and I write them down at a feverish pace while the idea is still in my head. Now, I could be working on the beginning, the middle or the end at any given time. And, hell, I work on several different books at the same time as well. How all of those chapters come together at the end into one big story is a mystery. I like to think I have the entire story in my head and that I planned the whole thing from the beginning, but I don’t know if I honestly believe that sometimes. But I also give a lot of credit to my “jigsaw puzzle” method, because I think that’s how my stories get so much action. I’m writing each chapter individually and giving it everything I have, and it makes for a great story in the end! The characters were easy to come up with. I never have a hard time with the characters actually, and I usually create them before I even come up with a good plot. Sebastian Alexander is based on real-life actor Colin Egglesfield. And the ladies out there can see why I didn’t mind having that image stuck in my head for months. 😉 Whenever I have a book idea, I create a folder and keep the character’s pictures in it. It helps me when I’m trying to imagine a certain way they would act or look in different situations. I even keep pictures of houses, cars, etc., just to help with bringing the characters, places and things into reality while I write about them.